Chief Minister Lal Thanhawla, who contested from Champhai South and Serchhip, has lost both the seats. The Congress, which appears to be on the road to victory in BJP-ruled Chhattisgarh and Rajasthan and is locked in a close fight in Madhya Pradesh, has lost Mizoram to Mizo National Front's (MNF) which has got 21 seats in the 40-member assembly. The MNF is ahead in five other seats, the Election Commission (EC) sources said. The Congress, which had bagged 34 seats in the last assembly elections, managed only five this time. Chief Minister Lal Thanhawla, who contested from Champhai South and Serchhip, has also lost both the seats. He lost Champhai to the MNF's TJ Lalnuntluanga, while Serchhip was snatched by Zoram People's Movement's (ZPM) chief ministerial candidate Lalduhoma. The 76-year-old Congress leader has been the chief minister since December 2008. In the 2013 assembly elections, he became the chief minister for the fifth time, a record in Mizoram. He has accepted his defeat and resigned from his post. Winning Mizoram was crucial for the Congress as it was among the last few states and the only one in the northeast under the party's rule. The party had as many as five states just about two years ago, which included Assam, Meghalaya, Arunachal Pradesh and Manipur. The MNF, the main opposition and an ally of the BJP at the centre, which had been out of power for 10 years, was optimistic about its win. Their hope is hinged on the history of the state where governments change every 10 years. 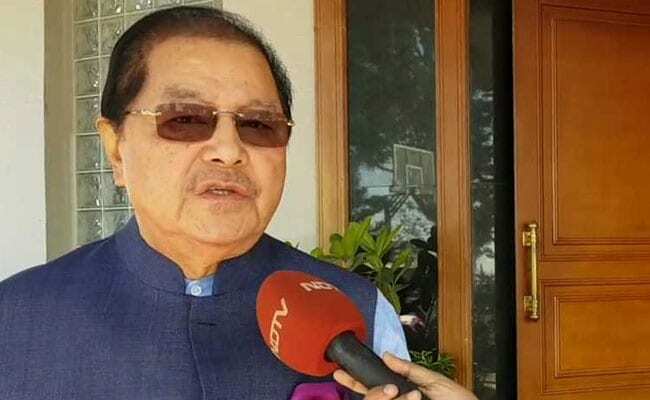 "I have a strong belief that I don't need any other party and particularly the BJP to form government," MNF president and former Mizoram chief minister Zoramthanga, who ran the state between 1998 and 2008 had said. The Zoram People's Movement (ZPM) won five seats and is ahead in three others. The BJP opened its account in the largely-Christian dominated state with Tuichawng seat in south Mizoram's Lawngtlai district.